Rio PET 15 oz. (GPET15) Opaque Ultra-Smooth is for PVC vinyl banners and can be printed on one or two sides with comparable results. 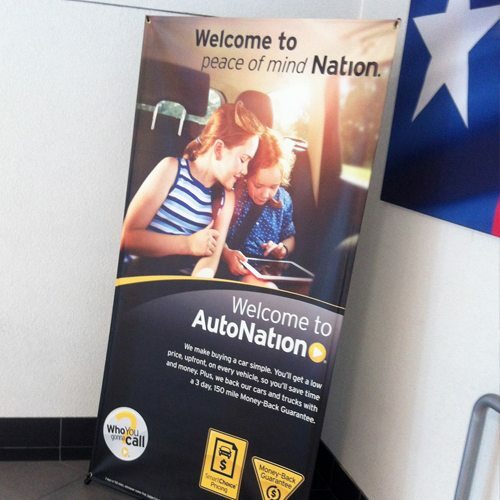 This PVC vinyl banner material is compatible with screen printing, digital printing, and pressure-sensitive lettering. Rio PET 15 oz. is intended for indoor banner displays and is designed with a low-curl edge when producing hemless signs.